We’ve been fans of the Wolf Design Build’s Kiko Beach House on Carlsbadistan’s Ocean Street since the project was nothing more than a color Xeroxed flyer stapled to a fence. That’s why we were filled with holiday cheer to see it is on the market and a perfect gift for the person who has everything. The five story tall, 7,000 square foot beachfront home features five bedrooms, seven baths, its own glass elevator, and a jacuzzi that rises above the pool like a champagne glass. The house was designed and built with the kind of quality and craftsmanship that suggests cost was not a factor. With an asking price of $17 million the Kiko Beach House is the single most expensive gift we’ve ever suggested in three years of the Carlsbadistan Twelve Days of Christmas. It won’t fit under the tree, but don’t let that stop you. Flat leather boots are one thing every girl likely has on her wish list this Holiday season. Fairen Del in the Village stocks a number of different options from Taryn by Taryn Rose. A former orthopedic surgeon, Rose began her footwear company in 1997 and has been known for making ergonomically-designed, comfortable, and fashionable boots. The main thing is these are boots any girl can wear from day to night without sacrificing style for comfort. 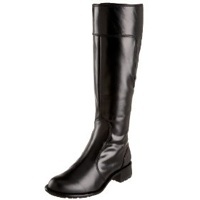 These Radiate Calf Leather Boots ($398) are a gift that will be appreciated year after year. Yeah, there are plenty of places to get chocolate in this town, but none are as homegrown as the Village’s own Carlsbad Chocolate Bar. Located next to LePassage French Bistro on State street in downtown Carlsbad. The Carlsbad Chocolate Bar is the latest offering from LePassage owner Laura Reyer. 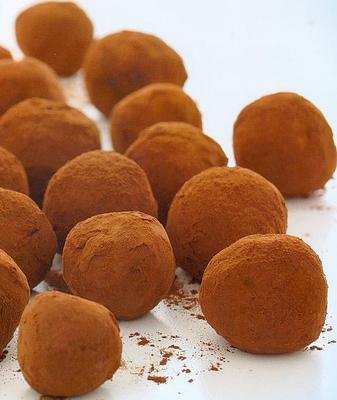 While the Bar offers up everything from milk chocolate covered grahams and chocolate covered Oreos to salted caramels, we recommend going in for a box of truffles. 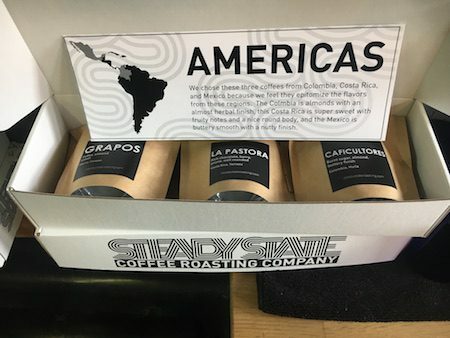 At two dollars a pop, and boxes in a variety of custom sizes, they’re an easy host/hostess gift for all those holiday parties you’ll be hitting this season. Maku is the Carlsbadistan-based designer and manufacturer of “sustainable furnishings for a modern world.” Their high-end indoor and outdoor furniture is featured in some of the most spectacular resorts and homes around the world. 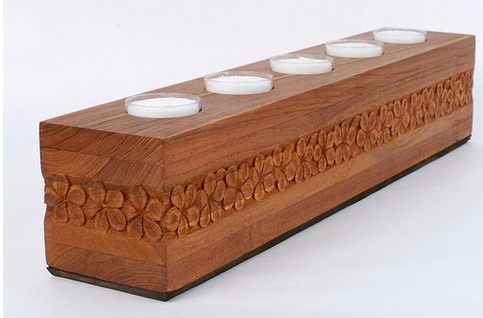 And while their furniture would be a welcome Christmas gift for any home-owner, we picked something that everyone can both afford and enjoy: a 16-inch long Carved Teak Candle Holder made of 100% repurposed teak from the Maku Ecoshop. The ultimate accessory to your organic living space: Dinner by candlelight, aromatherapy indoor or out. A handsome accent to any environment with the natural elegance of the Maku candle block. Made from Indonesian architecture of yesteryear, the Maku candle block features Frangipani carving. And who knows, after a few candlelight dinners the one you love may be ready to drop-in on an entire set of Maku furniture for the back patio next Christmas. Maku Ecoshop, Online from Carlsbad. The Carslbadistan Apple Store opening on August 16, 2008 was almost bigger than Christmas for us and while we could easily have filled 25 days of Carlsbadistan Christmas from this store alone, we’ve decided to narrow it down and make it easy: the perfect gift from the Apple Store this Christmas is the 27-inch 3.06GHz iMac for $1,699.00. As many reviewers have pointed out, the luscious screen alone is worth half the cost of the computer. And while others complain of the higher price being an “Apple Tax,” once you realize the tech muscle this elegant all-in-one computer packs it’s obvious that it is a Christmas inside and out. One word of warning: Don’t let Santa take this out of the box before Christmas or it might not make it under the tree at all. Normally the gifts in our Twelve Days of Christmas guide are for the people we love. But this holiday season, we thought it a great idea to give the gift of live, professional theatre to the entire community. As Carlsbadistan’s only professional theatre company New Village Arts brings quality theatre that many of us can walk to. That’s why we’re encouraging you to give the gift of supporting the arts by participating in NVA’s Give15 fundraising campaign and giving $15 a month. Give 15 Members gain exclusive benefits and are invited to the end of the year ensemble party at the theatre. And what’s more if you join the program between now and the end of the year, your entire pledge will be doubled, helping NVA meet its $25,000 matching gift goal! Meaning for the price of a one movie you will not only be supporting the hippest theatre in the area but you will be doubling your impact! By pledging to Give15 you’ll be raising $360 next year. Or, Give15 in someone else’s name and give the gift of supporting the arts. Pledge now by clicking here. Every girl likes going to the spa and lucky for them Carlsbad is full of them. Though tested standbys LaCosta and the Four Seasons offer a great full-day resort-style experience, we like the day-spa choices in the Village instead. With it’s relaxed atmosphere, and vegan and organic treatment options, Spa Samudra is our newest favorite. Ease some holiday stress for one of your loved ones with a gift certificate for Spa Samudra’s Beach Escape ($160). The package includes an organic fusion facial, swedish massage, and beach break pedicure all for the same price as a single treatment at one of the larger spas. Spa Samudra is currently offering a buy one, get one 50% off deal on all gift card purchases—stuff a stocking or two. It’s the truth: everyone always needs a new pair of shades, especially in Carlsbadistan where the sun shines every day and people have to look their best. Lucky for us, our city is home to one of the most popular brands in action eyewear, Spy Optic. The all-new Stratos II features classic 70s fashion styling with a nod to the future. The black with gold temples and gold mirror shaded lenses make the perfect gift for your favorite TransAm driver or choose from six other colors color combos including candy colored translucent blue and pink. It’s that most wonderful time of the year, when relatives and friends alike gather to celebrate together. Though more expensive than a casual hostess gift, the Nambé Yaro Salad Bowl and Servers is a modern addition to any holiday table. 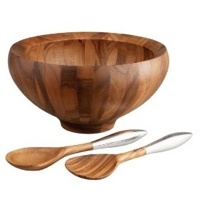 Made of finely sculpted, stain and odor resistant acacia wood, the 13-inch salad bowl is accompanied by wood and Nambé alloy handled salad servers. Available at The Poached Pear on State Street for $125. This is the perfect gift for the entertainers in your life.